As a result, an underwater search, using side-scan sonar equipment, is expected to take place at the end of this week, covering four square nautical miles and taking up to three days. The seat cushions were discovered by French authorities on a beach near Surtainville on the Cotentin Peninsula in the northwest coast of France. 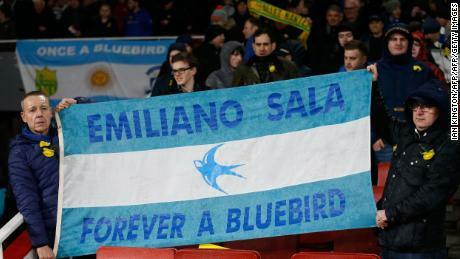 The aircraft carrying Cardiff City’s record signing disappeared from radar last week near the Channel Islands. “From the moment we were notified of the missing aircraft, we have been looking at the feasibility of conducting an underwater seabed search for aircraft wreckage,” the statement added. “Due to the weather and sea conditions, we currently expect our underwater seabed search to start at the end of this weekend and to take up to three days. 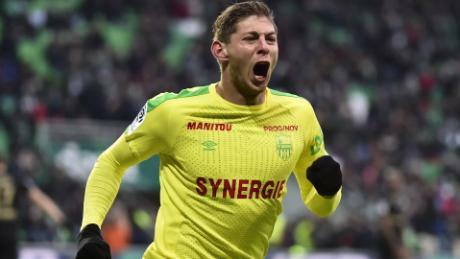 The 28-year-old joined Cardiff City from French club Nantes for $19.3 million less than a fortnight ago and was traveling to the Welsh capital, having said goodbye to his former teammates, when the plane he was on board disappeared. On Tuesday, Cardiff played Arsenal, losing 2-1, in the Welsh club’s first game since the striker went missing and afterwards manager Neil Warnock admitted there had been occasions over the last seven days when he did not want to get out of bed. Earlier in the week, the Englishman revealed that several City players had undergone counseling and offered his support to the private search, as did Arsenal captain Laurent Koscielny in the matchday programme. A crowdfunding initiative to finance a private search was launched last weekend in response to the decision by UK authorities to abandon its recovery mission last Thursday. French World Cup star Kylian Mbappe has donated $34,000, while his Paris Saint-Germain teammate Adrien Rabiot and Marseille’s Dmitri Payet, as well as several other well known players from across Europe, have also made sizable donations to the campaign, which was set up by Sport Cover, the management agency that represents Sala. The Guernsey Harbour head of Port Operations manager told CNN that the private search had started to be organized but was not yet underway. 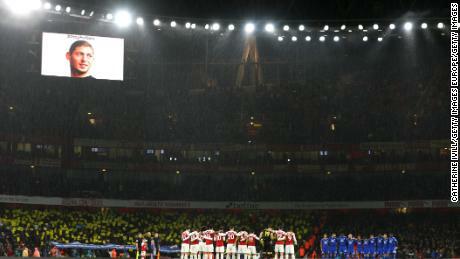 In his programme notes, Koscielny said: “I am very happy that the searches are now continuing. Emiliano’s family needs some answers to their questions. “They need some closure and they will only get that if they find something. To try to move forward, they need something, whether it’s positive or negative.